Le the music begin! 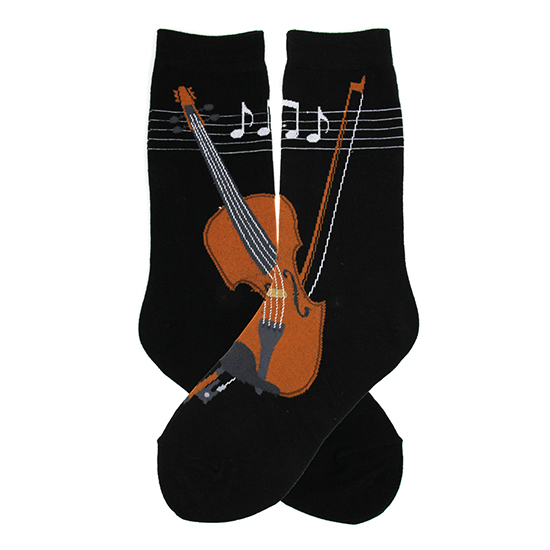 These beautiful strings socks are perfect for the violin or viola player. They are also fun for the symphony enthusiast or music lover. If you are a music lover these novelty strings socks are for you!